Insanely Creative Unique Table Lamps! 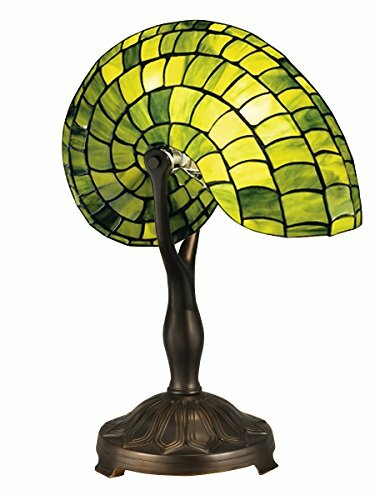 My Top Favorite Unique Table Lamps for Sale in Amazing Shapes! You won’t believe these incredible accent lamps folks! I absolutely adore finding the most unique stuff for home and when I saw these amazing animal shaped glass lamps and other crazy and very unique table lamps I started jumping up and down from excitement! 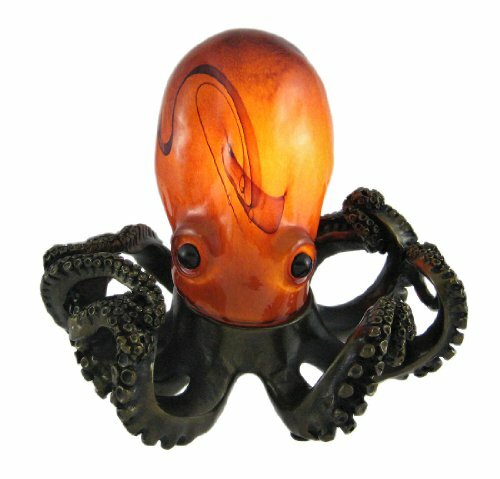 I had no idea there so many crazy novelty lamps for sale out there! Each one is more incredible and unbelievable than the next! I hope you like them too and maybe find one for your home! My favorite accent glass lamps are the ones in the shape of animals! 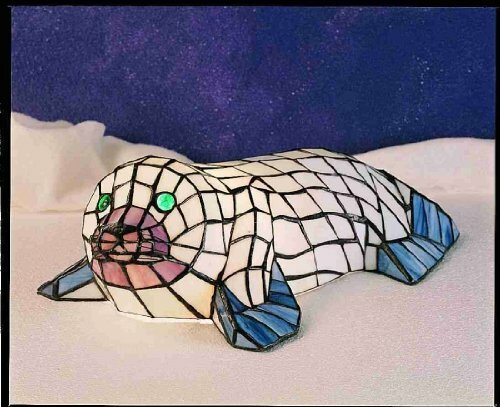 Check out this gorgeous and very colorful seal accent lamp for sale! It was made using hundreds of small glass pieces by Meyda Tiffany! It is fairly large too and will definitely stand out on your end table or anywhere else you decide to place it! Looking for a cool lamp for your home? 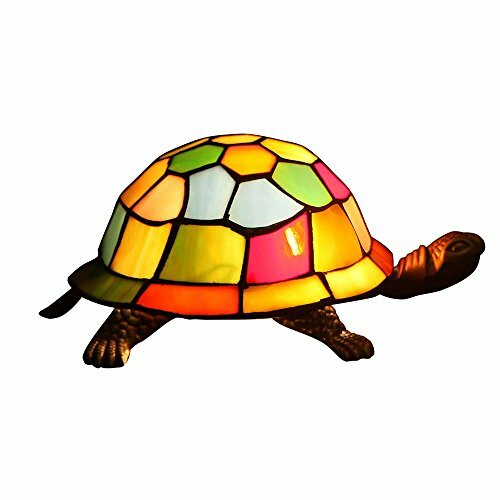 It’s a very cool turtle shaped glass lamp! It gives a very nice glow! How is cool, fun and colorful this birds on a branch novelty lamp? Buyers said it’s heavy, well-made and very beautiful! It has over 200 glass pieces! 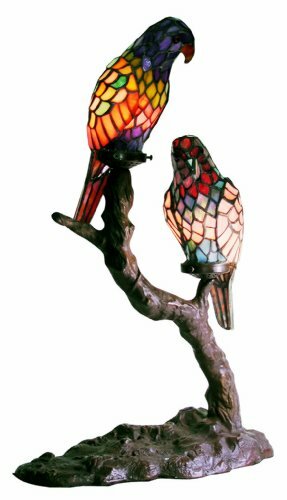 I had to show you this amazing parrots glass table lamp for sale too! 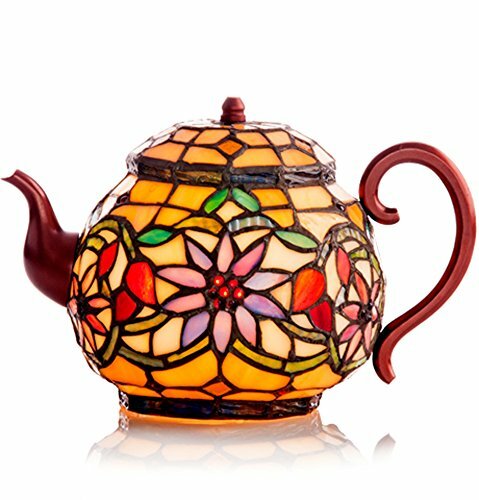 Have you ever seen a more gorgeous and unique lamp before? You can have the birds lamp on one end table and this parrots lamp on another! I can almost hear them singing and talking! 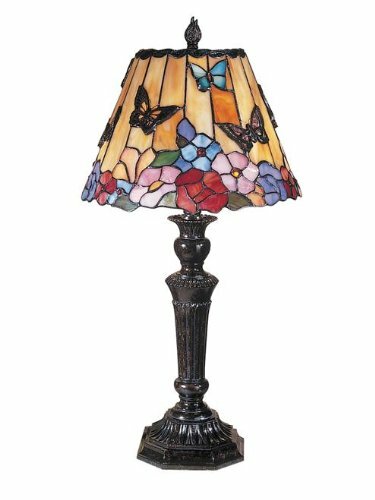 This is a very cute and colorful floral table lamp for sale! Full of cute peony flowers and butterflies flying above them. It is fairly tall too, at 24 inches! Great to have two, one on each side of your bed! Makes a lovely gift idea for moms, daughters or grandmothers! Know any dog lovers in the family? If you do you just found their perfect unique table lamp! 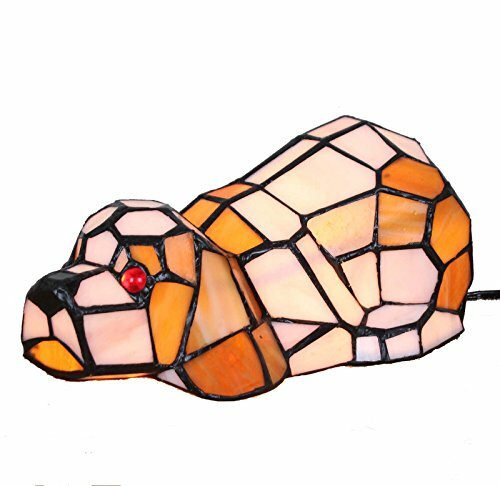 A gorgeous puppy dog shaped stained glass lamp! I guess you were never expecting such a cool lamp, were you? It’s made of metal and glass! I guess you just found your cool table lamp! 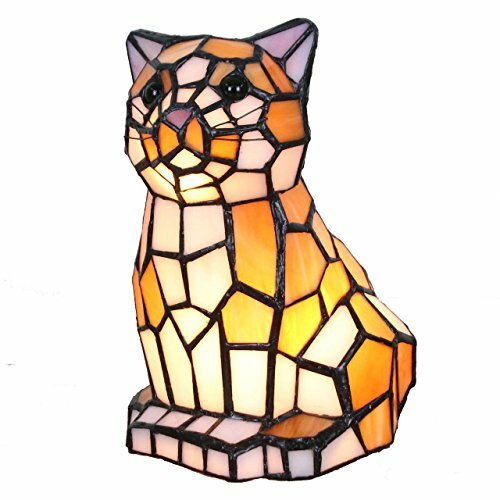 This is a very cute and colorful kitty cat shaped stained glass table lamp for sale! If you have always wanted to find a beautiful seashell shaped glass lamp, here it’s your chance! It’s a gorgeous green color beautifully hand-rolled seashell shaped glass lamp! Are you having fun with my selections of unique table lamps? 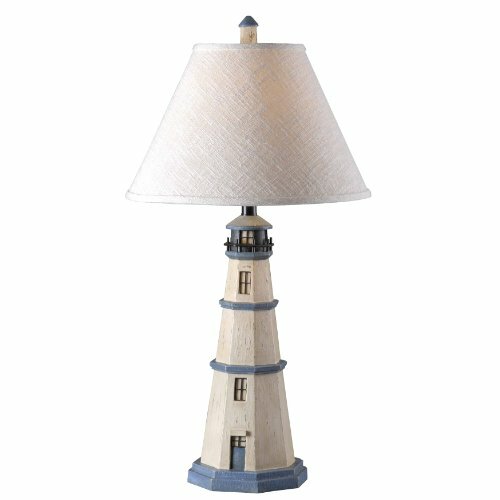 If you love lighthouses you are definitely going to like this very unique antique white classic lighthouse table lamp for sale! It’s also very tall, at 32 inches! Or is it a table lamp? 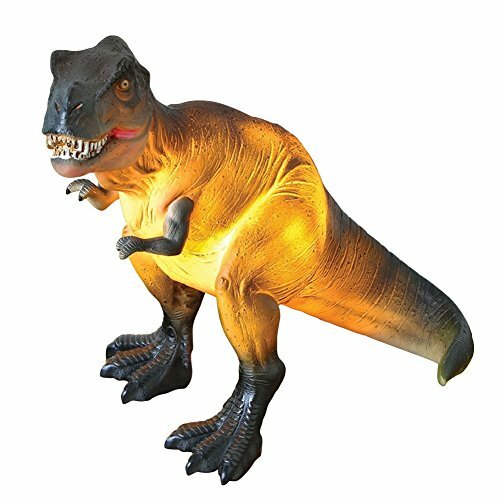 It is a Tyrannosaurus Rex shaped accent table lamp! How cool and original is it? 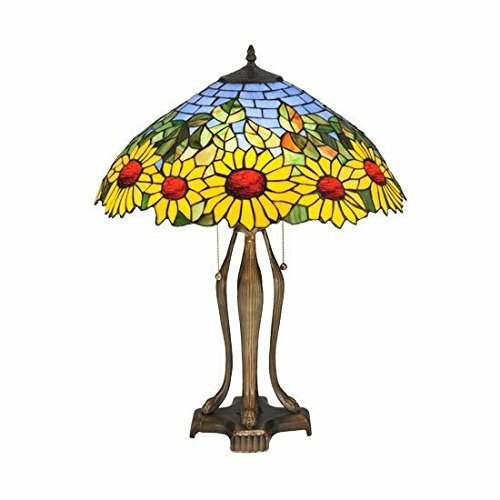 What a pretty sunflowers table lamp! It’s such a ‘happy’ table lamp! Will make a great gift idea too! It was also made by Tiffany! A very cool and very unique colorful seahorse accent lamp! Can’t think of a better gift idea for a seahorse lover! 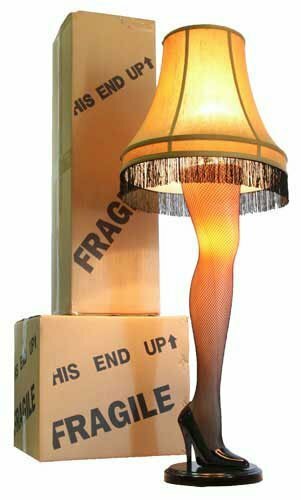 I couldn’t forget to include a beautiful woman’s leg lamp here! Perfect for a guy’s apartment isn’t it? Isn’t it absolutely perfect to have in the kitchen? Will also make a fun Christmas gift idea for mom, aunt or grandma! Fabulous Life Size Sculptural Floor Lamps!